Time to continue the celebration of 25 years of Final Fantasy. You read my opinion on the Best of Final Fantasy Music (best dungeon themes, battle themes, boss themes, character themes, world map themes, airship themes, etc.) and my thoughts on Theatrhythm Final Fantasy. Now, it's time to read my opinion on what I consider to be the most magnificent Final Fantasy soundtracks of the series's 25 year history. From mainline games to spinoffs, this list has the best covered with selected tracks for you to sample and enjoy. So sit back, relax, and get ready to feel waves of unbridled nostalgia. 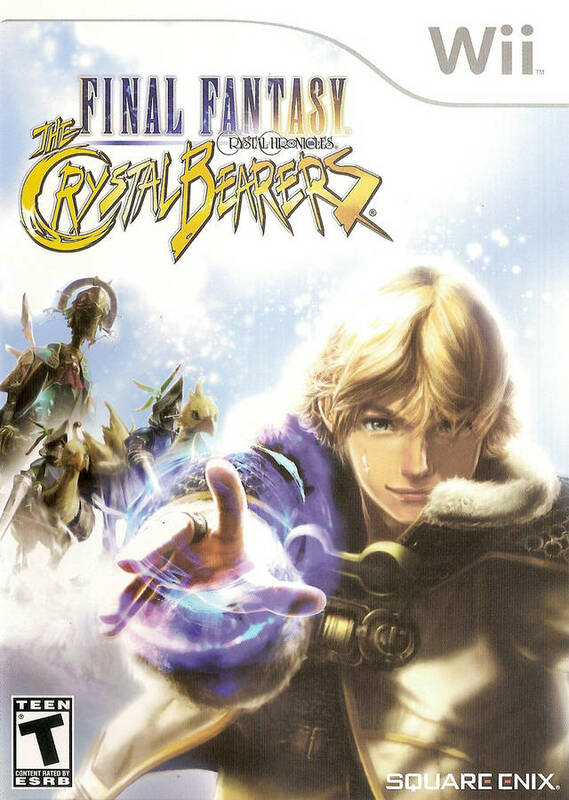 We start off with one of the more recent additions to the Final Fantasy universe, Final Fantasy Crystal Chronicles: The Crystal Bearers for the Nintendo Wii. This game actually replaced Final Fantasy X in the eleventh hour on this list. I await your letters, but hopefully after hearing the samples provided you'll see why I went this direction. Using a wide range of musical styles, the soundtrack is quite compelling, sometimes soothing, sometimes energizing, and always fun to listen to. There's the opening track in Kuule Taa Unelmain, Ephemeron, also performed by Donna Burke, then you have Selkie Guild, a refreshing song to stroll around the countryside in Lett Highlands, a theme used for battle, something out of The Dukes of Hazzard in Catch and Throw, the particularly moving Althea's Waltz, and the beach-bumming fun of Girls, We Have to Win. The soundtrack is a veritable smorgasbord of musical genres, fitting for number ten on this list. The final game may be severely disappointing but the soundtrack is far from that verdict. It is remarkable. 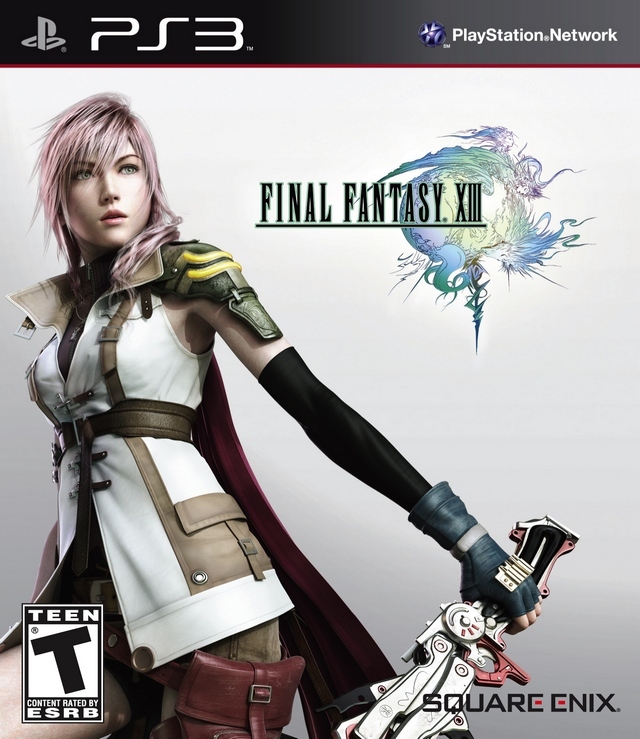 Composed by Masashi Hamauzu, Final Fantasy XIII's soundtrack is a cornucopia of sensational songs. There's one of the best traditional battle themes in the franchise's illustrious history in Blinded By Light, a brilliant boss theme in Saber's Edge, my favorite Chocobo theme of all in Pulse de Chocobo, nice area themes like The Sunleth Waterscape, gentle character themes like Serah's and Lightning's. Whatever kind of mood you are in there is certainly a track from Final Fantasy XIII that will fit it. 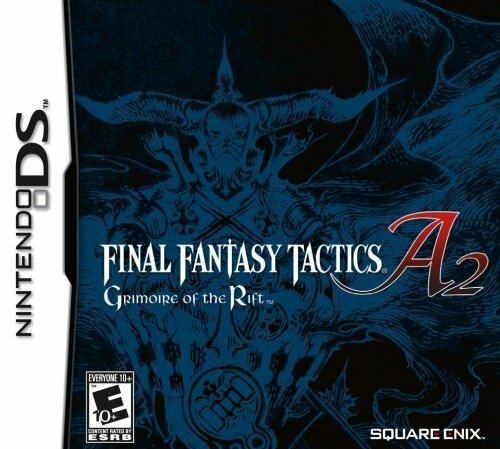 Composed primarily by Hitoshi Sakimoto, Final Fantasy Tactics A2: Grimoire of the Rift is a playful yet at the same time serious soundtrack for the Nintendo DS tactical RPG game. 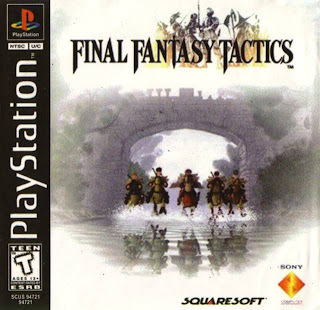 It features themes from Final Fantasy Tactics Advance as well as some from Final Fantasy XII. At one point the music is touching as can be, while others get you invigorated and ready for battle, Final Fantasy Tactics A2's music is lovely. 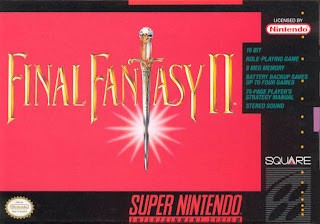 Tracks like Green Wind, Crossing Over the Hill (aka Ozmone Plains in Final Fantasy XII), Gathering Allies, Summer Vacation, and more all add up to a particularly enjoyed Final Fantasy soundtrack of mine. 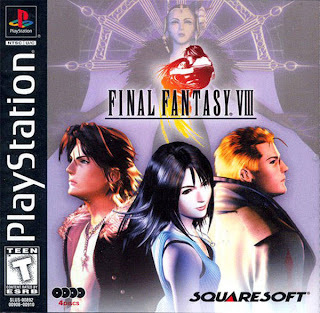 Considered by a good portion of Final Fantasy fans as a black sheep installment of the franchise, Final Fantasy VIII contains a substantial amount of incredible music within its four disc set. Right away from the opening you know that you're in for an impactful ride with Liberi Fatali. The boss battle theme Force Your Way, normal battle theme Don't Be Afraid, and final boss theme The Extreme certainly paint a powerful picture as well. Don't forget The Landing either. Then there's a touching track like Love Grows and the spirited Waltz for the Moon for the romance between Squall and Rinoa. 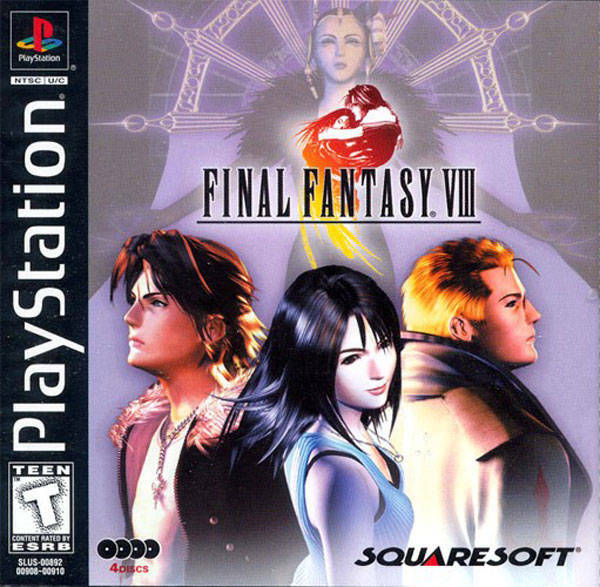 Final Fantasy VIII may not be universally liked, but it certainly delivers when it comes to wonderful music. But who would doubt that when Nobuo Uematsu is at the helm? Composed almost solely by Kumi Tanikoa, the Final Fantasy Crystal Chronicles soundtrack is one that invokes memories of Renaissance and medieval times with its interesting choice of musical instruments like the recorder. It is a perfect fit for the rustic world the game presents players. 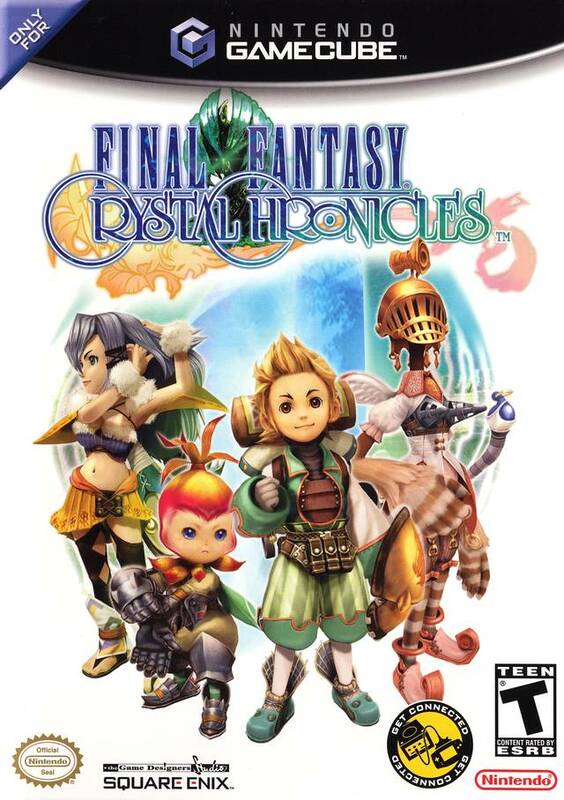 From songs that deliver a rich sense of ambiance and wonder like Into the Gloomy Darkness to songs that portray a vibrant rural community like A Gentle Wind Blows, Final Fantasy Crystal Chronicles has such an under-appreciated soundtrack. It truly is magnificent and unlike many soundtracks in the series. Other terrific tracks include: Magi is Everything, Daemon's Court, Amidatti, And Eleonor Too, and When the Northern Sky is Clear. 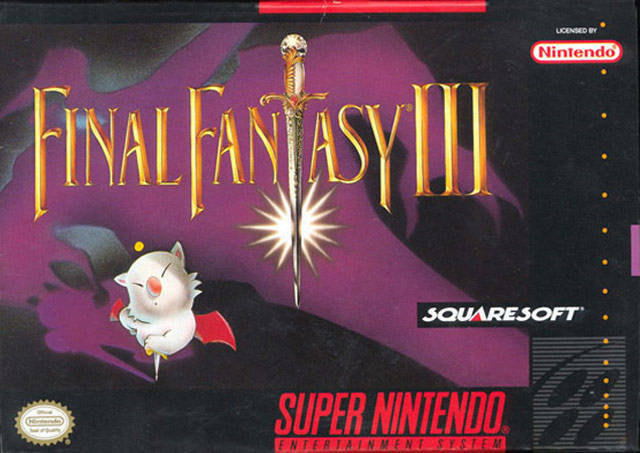 Before it was well known as Final Fantasy IV in the West, it was known as Final Fantasy II. The game was the first Final Fantasy to be created in 16-bits, and it was made all the better for it, from graphics to our focus, sound. Nobuo Uematsu once again showed why he is one of the best when it comes to composing for video games with tracks like the Main Theme of Final Fantasy IV, Battle 1, a bombastic boss theme in Battle 2, one of the great dungeon themes of all time in Into the Darkness, Mt. Ordeals, the moving Troian Beauty, and how could anyone forget Battle with the Four Fiends? Those tracks just scratch the surface of the impressive amount of unforgettable themes heard within the reaches of Baron, Damcyan, and Troia. The first Final Fantasy game to leave a Nintendo system, but more importantly, enter 3D, Final Fantasy VII sports a marvelous memorable soundtrack. The new direction the series took, casting aside medieval themes and technology of yore, going with a futuristic approach, allowed for new musical styles and sounds. 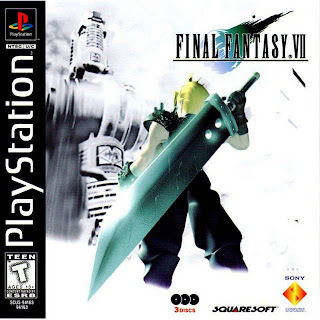 It features one of the most cherished final boss themes in RPG history, One-Winged Angel, possesses touching character songs like Aerith's Theme, the Opening ~ Bombing Mission theme that puts the player right into the action, more ethereal tunes like J-E-N-O-V-A, one of the great RPG airship themes, borrowing Final Fantasy VII's Main Theme, in Highwind Takes to the Skies, and even a marching tune thrown in for good measure in Rufus' Welcoming Ceremony. 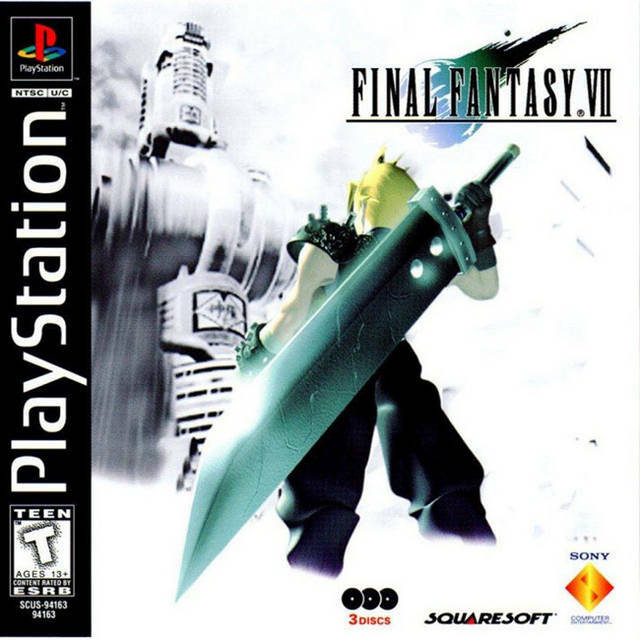 I don't have the same kind of nostalgia for Final Fantasy VII as most people, but I still find the soundtrack to be incredibly good. 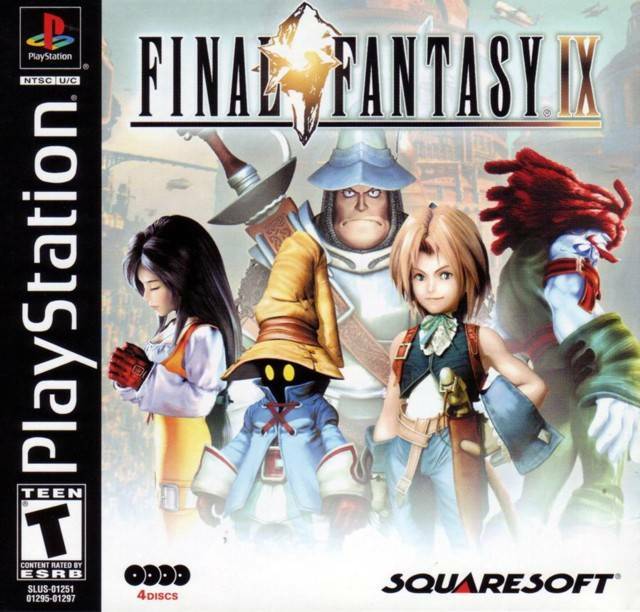 My favorite of the mainline Final Fantasy soundtracks on the PlayStation 1, Final Fantasy IX invokes memories of old school games in the franchise, and it has the music to back that stance up. Cid's Theme gives a marvelous march that plays in Lindblum's castle. Then we get medieval with Freija's Theme which is played in The Gizamulke's Grotto dungeon. I'd be amiss if I didn't mention the intense boss theme, Kuja's Theme, The Airship, Hildagaldy, The Dark Messenger, and Beyond the Door. 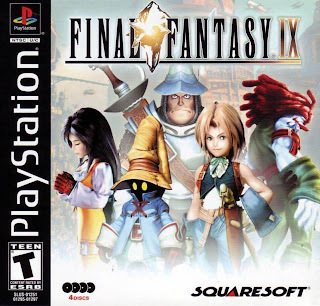 I list Final Fantasy IX's soundtrack so high because of the sheer amount of quality tracks that permeate throughout the soundtrack set's multiple discs. It's the type of soundtrack that I can enjoy as someone who is a casual Final Fantasy player but can admire thrilling music. One of the most stirring soundtracks I have ever had the pleasure of listening is made even more spectacular by hearing the music played throughout the duration of the game. Yes, this is the fabulous Final Fantasy Tactics soundtrack from the best Final Fantasy spinoff in existence. The duo of Hitoshi Sakimoto and Masaharu Iwata combined their compositional mastery and crafted one hell of a score for the game. Tense battle situations get even more unsettling as themes like Antipyretic, Trisection, Battle on the Bridge, Apoplexy, and Decisive Battle. But don't think that it's all struggle and intensity with the music. No, there's plenty of heart-tugging themes such as Ovelia's Theme (one of my favorite tracks of the game), Overlia's Worries, and Chapel, as well as jaunty themes like Pub and Tutorial to behold. And here we have it, the best of the best in Final Fantasy soundtracks. 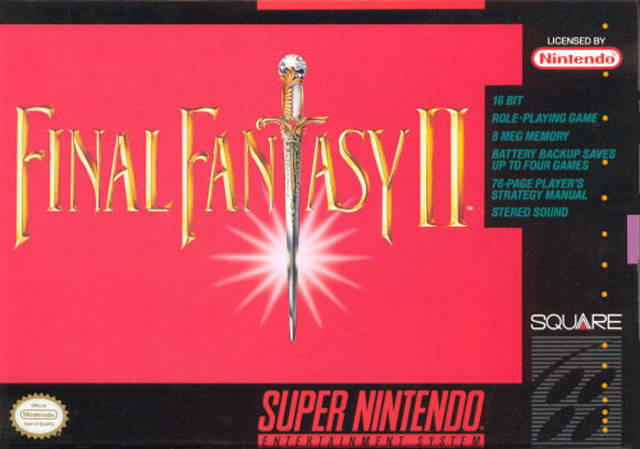 Coming from one of my favorite entries in the series, Final Fantasy VI possesses the greatest bevy of terrific tunes, memorable melodies, and powerful tracks. We have Terra, the world map theme of the World of Balance, the chaotic boss battle theme of The Decisive Battle, the truly haunting sounds of The Phantom Forest, the homely sounds of Kids Run Through the City Corner, the massively moving Aria De Mezzo Carattere, the riotous The Fierce Battle, and the airship theme of the World of Ruin, Searching for Friends. Then you have what I consider to be the best final boss battle theme in video game history, Dancing Mad. The many layers the song contains and how it segues into each movement makes for a wonderful theme. What all of these musical songs and elements make together is one of most celebrated, enduring, and impactful video game soundtracks of all time. It is just one of the reasons why Final Fantasy VI is so cherished by both fans of the franchise and simply those who adore superb RPGs. The Final Fantasy series comprises a large amount of my love for video game music. It is what got me interested in composition, and made me enjoy listening to other genres of music that I might not have otherwise tried. It's the fantastic minds of the composers behind the franchise's games that have in part made Final Fantasy such a cherished brand. As with most of my lists, I'm sure you won't agree with my order. Perhaps you won't even agree with my omissions of Final Fantasy X and Final Fantasy XII. That's just fine as well. If those are some of your favorites, what are your most liked tracks from those games, then?